Also, I remember that in 1997 the designs of the euro and cent coins were chosen. 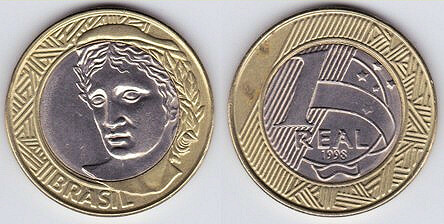 And in 1998 Brazil started issuing coins that were somewhat similar; don't know when those were designed. Belgium, at a time it wanted to be part of France and France. East Africa, Uganda. The link is obvious. UK pre-decimal threepence. Design by William Gardner. Decimal penny. Design by Christopher Ironside. Oil derricks, on a 50 fils coin of the United Arab Emirates and on a Nigerian 1 kobo. See also: Industrial Infrastructure on Coins. And two others - this time the compositions are quite different (Cu-Ni and aluminum) but the designs of the two sides with the face value are very similar. Images from worldcoingallery.com. 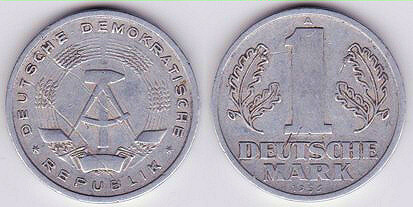 The GDR later changed the name of its currency, so the later pieces (1972-90) have basically the same design but simply say Mark. 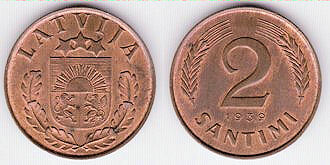 The 2 EUR has other well known "sibling". Wondering if the vending machines "exploit" continues. Cheaper and/or older vending machines may still have problems with those almost identical twins. Modern machines have various ways of keeping them apart. 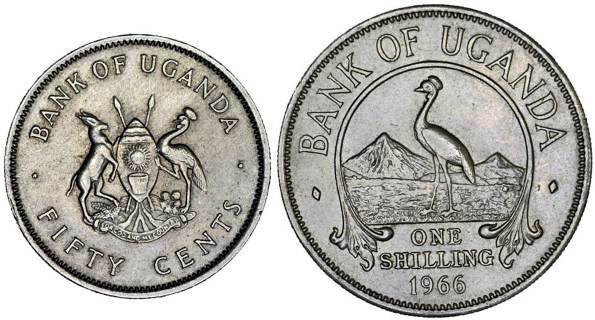 The primary reason why I mentioned the 1 lira coin (and yes, the 10 baht piece is in the same category) is that in some euro countries bimetallic coins were not used before the introduction of the common currency. So some people actually wondered "what kind of euro coin is that?" when they saw one of these, even though the designs were quite different.